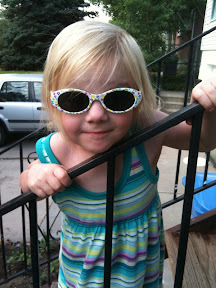 First I have to say that Target has the best kids sunglasses in the dollar spot. 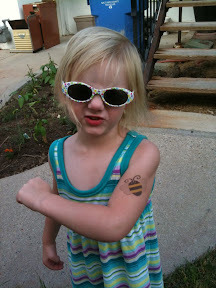 CJ showing off her tatoo. The funniest thing was this was about 8pm and Claire was wandering around the back yard complaining that it was getting SO dark, all the while wearing her sunglasses.